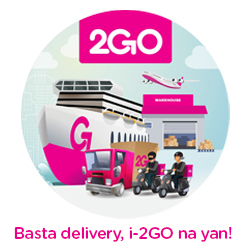 Our 2GO Express Customer Interaction Center (CIC) agents can help you plan and book your shipments, track your cargo and attend to your inquiries. Your feedback is important to us. Give us your comments or suggestions. Type the characters shown in the image for verification (case-sensitive).